Editor’s note: Tomas Tranströmer received the 2011 Nobel Prize in Literature on October 6. I first met Monica and Tomas Tranströmer in 1983, in Houston. I had left my hometown of Birmingham, Alabama, to attend a graduate writing program and nominated myself to pick them up at the airport. We immediately had a connection, since I had met Robert Bly in the 1970s and published a special feature on his poetry in Aura Literary Arts Review, a magazine I edited for the English Department of the University of Alabama at Birmingham. They were delighted as their close relationship with Bly dated back to the 1960s. The arrival of the Tranströmers on campus coincided that week with the arrival of Howard Moss, the poetry editor of The New Yorker. Ambition is very much an American trait, and most of the writing students chose to spend time with Moss on the chance he might choose their work for publication. That left the Tranströmers to me, so I gave them a guided tour of the city. We lunched at an Asian restaurant and visited a music store where Tomas could buy sheet music for piano to add to his growing library at home. Since childhood Tomas had played piano, and he was as talented with music as he was with poetry. The rest of the week Tomas conducted a poetry workshop and met individually with students. He concluded his residency with a reading before a large and enthusiastic audience. Tomas was aware I was a publisher, and before he left asked if I would publish a small selection of prose poems from a book soon to be published in Sweden. I said yes, and the result was then the only American selection from the book, a beautifully designed bilingual (Swedish to English) chapbook, titled Det Blå huset (The Blue House). It included the originals and translations to English by Göran Malmqvist, a prominent Swedish writer, literary critic, Nobel jurist for the literature prize, and friend of Tranströmer. Illustrated with striking blue water colors by artist and poet David Chorlton of Arizona, the chapbook was funded by the Cultural Office of the Swedish Embassy. I gave several hundred copies to Tomas, and he gave them all away to audiences at various readings on his next American reading tour. At the airport, despite just meeting them and spending only a week together, I was sad to see them go. As the plane lifted into blue skies toward Europe, I did not think of Tomas as a famous man but as good and kind, gentle in his way, perceptive as in his poetry. The connection and love I saw between Monica and Tomas made it impossible over the years to think of one without the other. We corresponded sporadically after he left. I would not see him again until ten years later. Soon after I moved from Houston to Boston, I became a member and board member of the New England Poetry Club. Founded in 1915 at Harvard University by Conrad Aiken, Robert Frost, and Amy Lowell, the Poetry Club sponsored a regular reading series, the oldest continuous series in the country. Within a year of joining the Board, I used my previous grant writing experience to help write a successful grant of $5,000 to the National Endowment for the Arts in Washington, D.C., for support of the reading series. The NEA grant included a stipend and travel expenses to bring Tomas Tranströmer from Sweden to Boston for a reading in Cambridge. Tranströmer read to a packed audience in one of the seminar rooms at Harvard. More than 300 people filled seats and lined the walls of the room as he read. In reading, Tomas provided explanations of his poems and used his dry sense of humor to add levity. And then there were the poems, the beautiful, luminous, remarkable poems. The after-party was held in Cambridge at the home of Diana Der-Hovanessian, president of the Poetry Club. I made my way through the party to Tomas, and he remarked how strange it was to have previously seen me in the flat, dry landscape of Texas and now here in the snowy landscape of New England. He was in robust health, vibrant, engaged with the party people. It would be another fifteen years before I would see him again. Some years later, I ran into Diana Der-Hovanessian on a street in Harvard Square, and she told me Tomas had suffered a stroke. The details were unclear. This was stunning news as he was still a young man in his sixties and had lived a healthy lifestyle. Details began to emerge from various sources over the next year. I did not write to Monica because I felt it would be intrusive to ask questions. In January 2007, I resigned my job and left Boston to live in various European cities: Amsterdam, Barcelona, Dublin, London, Paris. Flights then within the European Union were cheap: $40 American to fly from Madrid to Rome. I obtained a residency at the Swedish Writers Union in Stockholm, and in March flew from Barcelona to Stockholm. I took a train from the airport and taxied to the Writer’s Union, a three-story building that included a flat owned by the Union. I had the address but could not read the sign in Swedish. The pass code for the door did not work, so I had to wait until someone came out to go in. I found the director waiting for me in a three bedroom apartment on the second floor. It was small but nicely appointed with private bedrooms and a common area. I would share with a middle-aged German man from Berlin, who wrote plays for radio and television, and a young, attractive Russian woman from Moscow, who taught at a university and translated fiction by Cheever, Faulkner, and Vonnegut into Russian. Over dinner, we discussed our different experiences in the literary world. Once settled, I called Monica and arranged a meeting at their apartment. The Tranströmer flat was in an older building and included an ancient, creaky lift with ornamental iron gate. The apartment itself was spacious and charming. Through large windows oriented to the harbor, we could see the ferries as they departed to Finland. When I walked into the room, Tomas became animated. I could see, however, the effects of the stroke. Paralyzed on the right side of his body, his arm was perpetually curled to his chest. He possessed very little speech. He communicated with Monica in his own peculiar abbreviated language that she telepathically understood and translated for me. I presented him with a recent book, Century of the Death of the Rose, my translation from the Spanish of Ecuadorian poet Jorge Carrera Andrade. I knew he would be sympathetic with the style of poetry. His eyes lit up, as he directed Monica to retrieve a magazine from his study. The Danish literary magazine Bogens Verden featured his photos on the cover. The entire issue was devoted to his life and work in celebration of his 75th birthday a few years before. With his good hand, he directed me to a page. The text was in Danish, but there was a list of his top ten influences and favorite poems. What a surprise! My poet Carrera Andrade was at the top. The list also included T.S. Eliot and other classic poets of the century. With strong tea in porcelain cups and delicate pastries on a polished silver platter, we had a small party. Then Tomas played piano. Although it is true the right side of his body suffered the strongest blow from the stroke and his arm and hand were now helpless, he could walk and was insistent he not be helped. He had spent his career as a psychologist helping accident and stroke victims with their disabilities, so he was unusually well prepared to deal with this transformative act to his body. At the piano, Tomas played only with left hand. In the musical world, there is a whole genre written for piano for left hand. The genre of compositions evolved from handicaps of pianists who had lost an arm or hand. The German Paul Wittgenstein lost his right arm during World War I, but he resumed a musical career by asking several composers to write pieces for piano that required only the use of one hand. Tranströmer had retained his musical powers, and they were now fully concentrated in his left. Tomas left to go to his study. Monica and I moved to the kitchen. She opened a closet to reveal a large collection of books. They were all the Tranströmer books translated from Swedish into some sixty other languages. The time of our meeting was exciting because new books had just been translated and published into Arabic and Chinese. There were five copies of my own The Blue House in the stack. We sat and talked. Our conversation moved to Robert Bly, now also in his late seventies, and she remembered the first time they met Bly in the 1960s. She likened their relationship during those years to young schoolboys, inflamed by the passion of their explorations in the new modernism of poetry. Swedish poetry to an American in the 1960s was exotic, if they ever even thought of it. The hip college crowd and cultural intellectuals of the era knew the films of Ingmar Bergman and plays of August Strindberg, but no one knew anything about Swedish poetry. Then Bly began translating and presenting the poetry of Tranströmer to English language audiences. Along with his essay "Looking for Dragon Smoke," on the concept of deep image poetry, and his translations of Neruda, Georg Trakl, and Vallejo, he was creating a powerful new presence for world poetry in translation on the American poetry scene. In 1975, Boston’s Beacon Press published Bly’s edition of Friends, You Drank Some Darkness: Three Swedish Poets – Harry Martinson, Gunnar Ekelof, and Tomas Tranströmer. The book was immediately influential by introducing several generations of poets that demonstrated the lineage of modernism in Swedish poetry. Bly translated and published early American editions of Tranströmer English poetry collections, including Twenty Poems, Night Vision, and Truth Barriers. In 1979, Ironwood, a literary magazine in Arizona, published a special issue on Tranströmer with essays by prominent American and Swedish writers. Over the next four decades an increasing number of translators published Tranströmer books in America and the U.K., as he became popular on the U.S. university reading circuit. One of the jokes Tomas told me was he was being paid so much money by American universities he had to visit Swedish tax officials to ask how to do his taxes. He was not used to the celebrity that he suddenly had in America, and at the time he was rarely paid large sums of money in Sweden or Europe to lecture and read. As I departed Sweden, I thought of how I had now enjoyed the company of the Tranströmers in three landscapes on two continents over three decades. It is not often in life we have the good fortune to meet someone we admire, someone who has influenced our life and work. It was also reassuring to know despite misfortune Tomas was still strong. He still wrote and practiced piano every day, and Monica was a constant loving presence at his side. When last I saw him, I understood he had insisted on not the defeat of disability, but the embrace of the victory of an active and continuing life. He still performed piano concerts and readings, although he would now have Monica, an actor, or fellow poet read for him. To understand the beauty, power, and reach of Tranströmer’s poetry it is useful to know translations of his poetry into Dutch, French, German, Hebrew, Italian, Macedonian, Romanian, Spanish, and Vietnamese are popular in those countries. An idea or image in a line of poetry by Tranströmer translates very well into the Arabic or Chinese heart and mind. Imagine a room of college students in Croatia, Indonesia, or Vietnam debating the meaning of “After a Death,” a well-known Tranströmer poem written after the assassination of John F. Kennedy. A typical Tranströmer poem will indeed include windows and striking images of perception that have ability to translate to a common readership across cultural, ethnic, and linguistic barriers. Thus he has become a populist poet, a traditional role in global societies that has declined in a modern world tied together by technology. Among scholars and the general reading public in countries such as China, Egypt, India, Lebanon, and Pakistan, there is still great respect for poetry and its tradition. In the West we have given ourselves over to technology; we are wired into it. Against the daily backdrop of a blizzard of words and images from the Internet, we need powerful impulses to help return us to a connection to the natural world. The flickering screen of the computer consumes us. In this digital age poetry has lost its attraction. Consider that in this era, Twitter is the digital version of yesterday’s haiku. 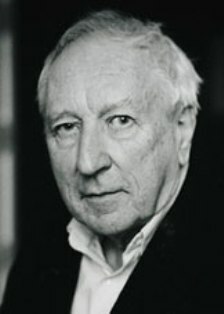 Tomas Tranströmer is an international literary figure of great stature. With translations of his poetry in more than sixty languages, he is the most widely read poet in our lifetime. He has helped bring Sweden to the world and the world to Sweden. His poetry offers opportunities to see things in new ways, to view ourselves against the backdrop of cities and landscapes, the inner and outer worlds we simultaneously live in. His poetry speaks to all of us of what it is to live, love, survive and thrive as a human being in this troubled world. Reprinted from the blog Boston Area Small Press and Poetry Scene, October 15, 2011, © 2011 by Steven Ford Brown. Used with permission. Steven Ford Brown lives in Boston.